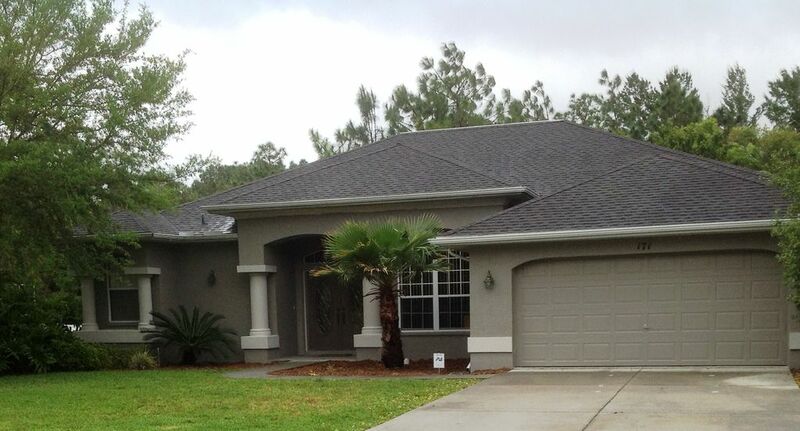 Tastefully decorated, fully furnished 3 bedroom 2 bathroom home in prestigious Sugarmill Woods. Two miles from the Suncoast Parkway and centrally located an hour north of Tampa/Clearwater/St.Petersburg,and within two hours of Orlando/Disney World, Universal Studios and Epcot Center. Why pay triple for accommodations for less than a 2 hour drive! Minutes from world renown Homosassa Springs Wildlife Park. If you have come to enjoy Florida wildlife, you should know that Homosassa is the manatee capital of the world! The local wildlife park has a wonderful feeding show with the manatees, where visitors can descend down a short flight of steps into the 'fish bowl,' a glass viewing enclosure set into the river where the manatees are fed - this is sure to be a memorable, up close experience! This home boasts a large living room with separate dining room and kitchen nook. All amenities included. You will be inspired to entertain in the open floor plan home, complete with a beautiful kitchen with counter tops that seem to go on for miles! The kitchen is a cook's dream... And it looks out on the large living room, that has a powerful surround sound system for the entertainment junkie. The fully screened lanai surrounds a 15' x 36' pool. Pool furniture and games included as well. Did we mention that the sliding glass doors open the entire wall of the living room onto the lanai? Yes - you can make the indoors and outdoors meet with this amazing feature. This property sits on a large landscaped lot and backs to a deep natural wooded 'greenbelt' preserve. Nature walks will call you to observe our wonderful flora AND fauna! Beautiful Florida sunshine awaits you - all you need is your suitcase! This Pine Street home was built by our family in 2003, and has been a place for us to go and 'recharge our batteries.' It was built with families in mind, as a place to come together and relax. We are from Maryland, and have several family members who have retired to the Sugarmill Woods community. It is the perfect area for us to vacation - we enjoy the lack of traffic, the slower pace of life, and the safe, quiet neighborhood. Our home is immaculately kept... The neighbors are so friendly, and it truly is a dream community. The local restaurants are sooo welcoming! Isn't dinner always better when eaten on the water, with a slight breeze blowing? If you think so, too, you will have plenty of options in Homosassa and the adjoining areas! Two handcarts in the garage. Help yourself! The house was very comfortable and very clean. It was the perfect size for us--not too small and not too large. If we build or buy down there I want a home just like this one. We enjoyed our stay thoroughly. We loved having you! Please keep us in mind for your next visit. And let us know if you build or buy in Sugarmill! Thanks again! We truly enjoyed our stay here. The home was very neat, extremely clean, nicely furnished and had everything we needed for a very comfortable stay. It is located in a nice and quiet neighborhood with lots of privacy in the lanai and pool area. The owner was very nice, easy to work with and promptly answered any questions we had. We would definitely stay here again and would recommend it to anyone visiting the Homosassa area! Thank you so much for staying at our home! We love to hear how neat and clean the house was - that is our number one goal. Please come stay again! Wonderful home, fully stocked with necessities, quiet, private and great value. Highly recommend, will stay again. Lovely home that is well appointed with most of the things you need on vacation. I would definitely recommend this villa to friends and family and look forward to visiting again. Thank you, Amy, for the perfect home away from home. My parents were able to use this great Sugarmill Woods location as a base to search for a new home in the area. In the week that they were there, they were able to swim each day in the pool, relax at the outside table, buy fresh fish multiple times for multiple dinners, and find a new home! As they worked with a realtor, they were able to truly get a feel for what it's like to live in the Homosassa area. They're hooked, and we couldn't have done it without you. They'll be moving into the neighborhood in June! Very Convenient (less than 2 hours) to Disney, Universal, and other Orlando attractions. Even closer to Tampa attractions - Busch Gardens, SeaWorld, Tampa Aquarium, and more!